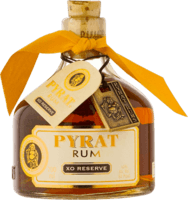 another sweet rum This rum is rich sweet and if you like sweet rums you will want another glass. This can used as a sipping rum or an after dinner treat. A nice little treat This rum is a great rum for what you pay if given to a rum or even scotch drinker as a gift they would not be disappointed. M&S did a good deal with the plantation range The bottling of this rum makes you question it's worth as it is nothing special. When you pour this into your glass it smells sweet and tropical. Nice bottle A smooth rum with little burn as it goes down. Nice vanilla notes - this is one to share with serious rum drinkers for them to discuss how good it is. Not a sipping rum This rum works well in cocktails or with coke. At this price it's worth owning to use in such drinks. Smooth but lacking This is a smooth rum. Just add a tea spoon of water and it balances things out. 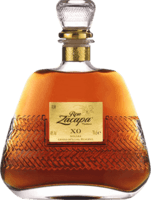 It's not a complex rum but at this price you can't expect everything. Too Cinnamon For Me I'm not a spiced rum fan and this has not changed me. The cinnamon taste was far too strong for me. Light and lacking This is meant to be a premium rum but it's far too light and it lacks depth of any real flavours. At this price I'd like more for my money. not as good as the 5 Hmmm I would go for the 5 much better. Its okay mixed but at the price try the 5 far better. Not like their premium rums. Dark molasses taste I would not buy this. If you like the taste of molasses then yore love this. Not complex at all.